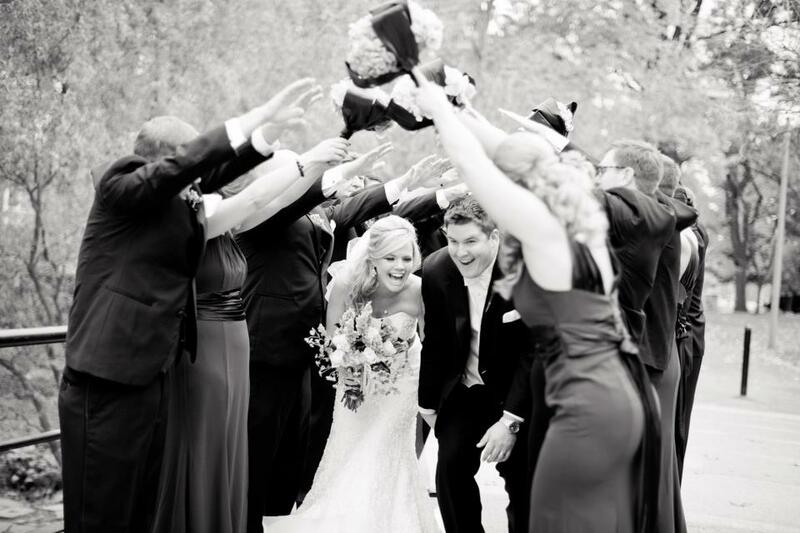 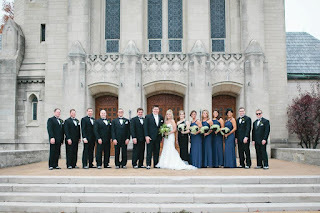 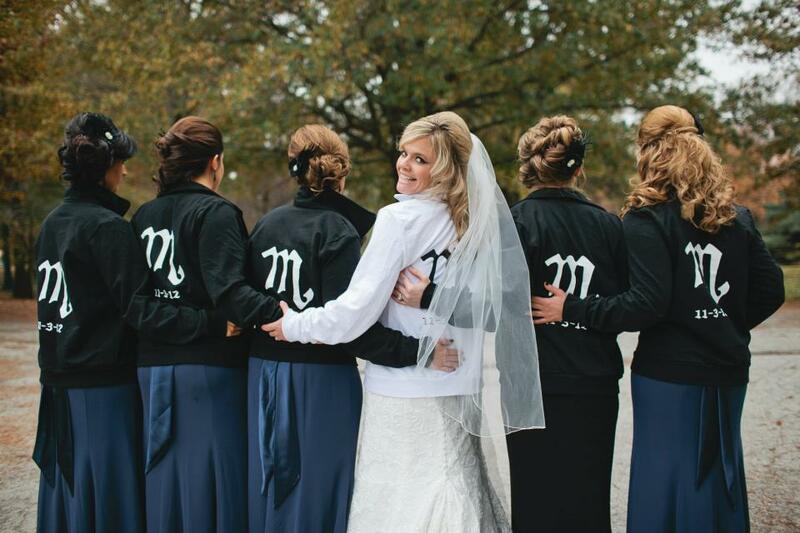 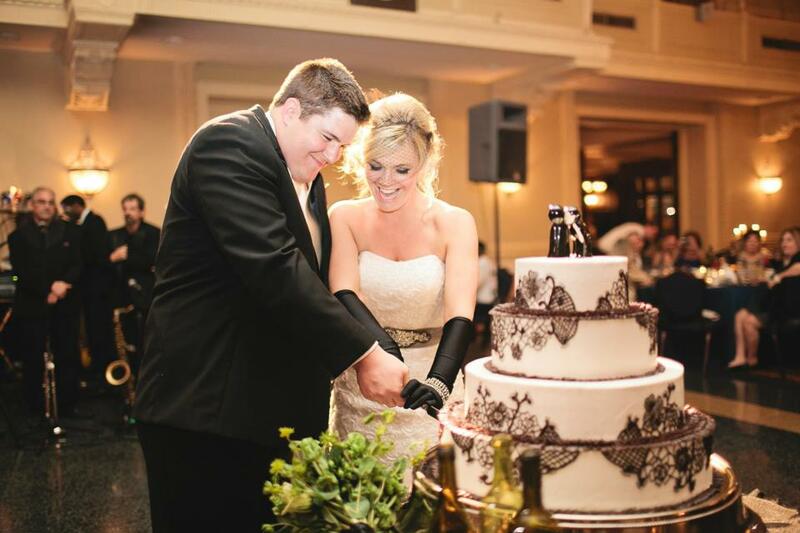 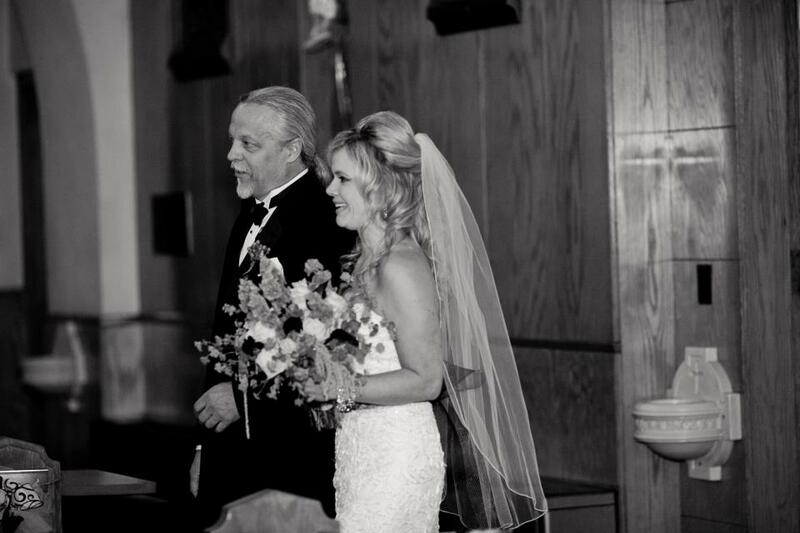 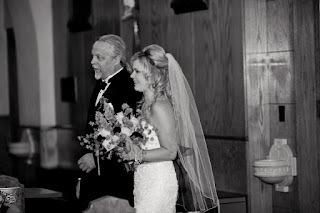 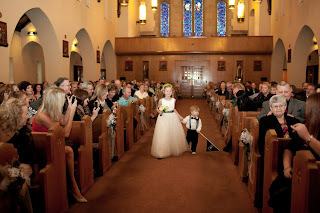 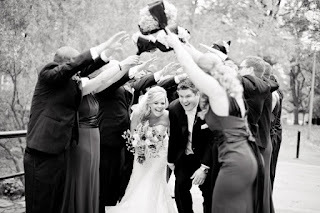 Abbey and Joel celebrated their fall wedding at St. Mary Magdalen Church and the M.A.C. They chose very rustic textures and accented with greens and blacks. 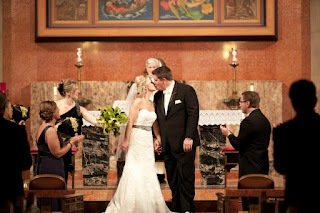 Photography by Christine Foehrkolb. 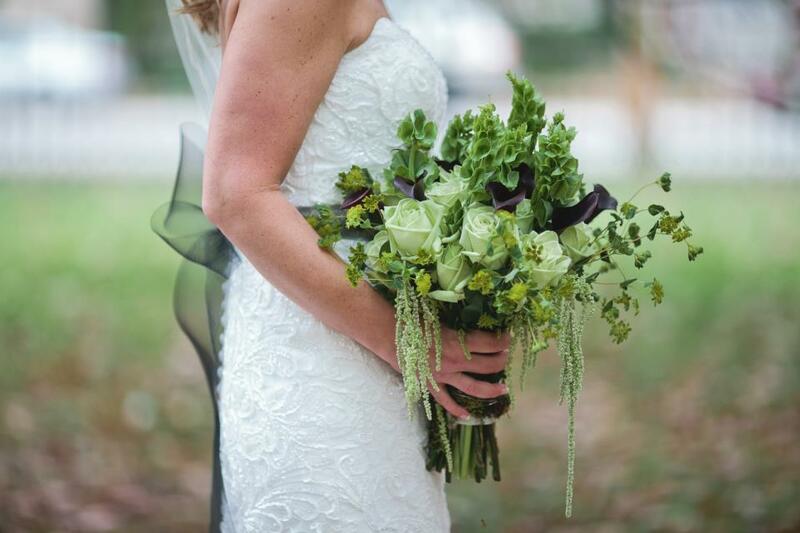 Abbey chose green flowers for her bouquet with accents of very dark calla lilies and draping greenery. 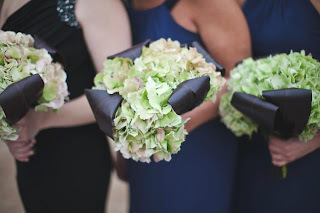 The bridesmaids carried all green hydrangea bouquets with looped black thai leaves. 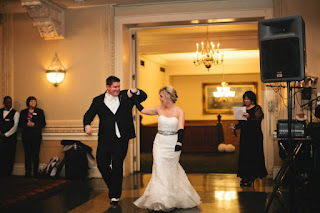 The couple’s grand entrance at the MAC. Various centerpieces decorated the guest tables. 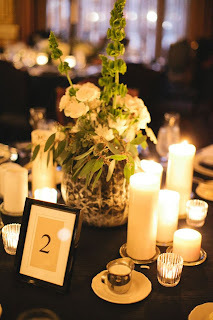 Some of the tables had these black lace accented white pumpkins filled with white and green flowers. 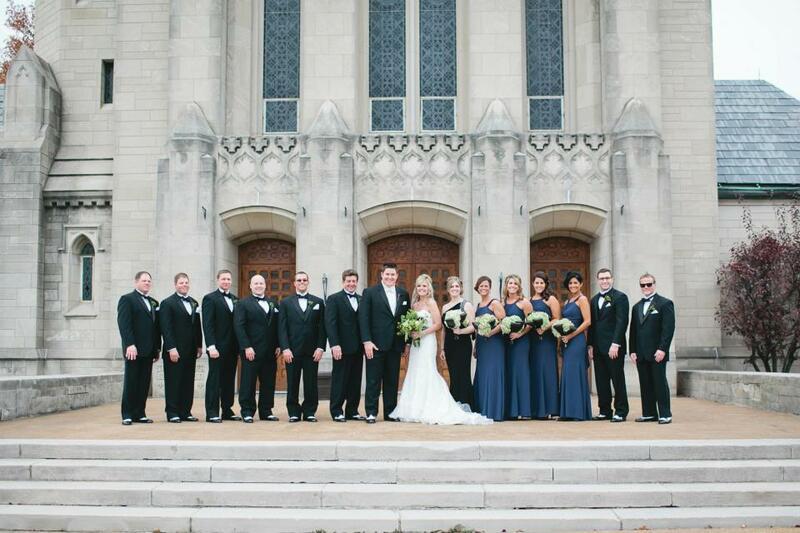 Thanks to Kate & Company for coordinating the details of this event!